Women In Retail Leadership Circle | Celebrate the Last Week of Women’s History Month! 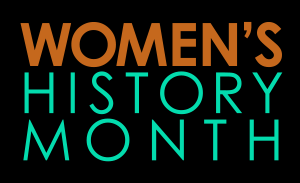 Celebrate the Last Week of Women’s History Month! Read a book by your favorite female author. I’m currently reading Nora Ephron’s “I Remember Nothing: And Other Reflections.” I particularly love the lists she includes in the book, such as “What I Will Not Miss” and “What I Will Miss.” All of Ephron’s work is great in my opinion, but this book, her last, is an ideal place to start. Watch “Wanda,” an independent film written and directed by Barbara Loden that some call a feminist masterpiece. The film, which was originally released in 1971 and is now available in a newly restored version from The Criterion Collection, focuses on a lone female protagonist with limited options for a better life. “Wanda” is a landmark work that heralded not only a new generation of women filmmakers, but also the independent film movement that followed. Participate in Catalyst’s #BiasCorrect campaign, which launched on International Women’s Day to tackle one of the biggest gender equality issues in the workplace: unconscious bias. Among the tools offered in the campaign is the #BiasCorrect plug-in to tag unconscious bias in real-time conversations on work-based chat platforms such as Slack. The plug-in identifies words that create harmful gender stereotypes and suggests alternative language. If a woman is described as “aggressive,” for example, the app suggests correcting the sentiment to “assertive.” Eskalera, the company that developed the technology for the plug- in, is also making the software available via open source code in an effort to spread the message and encourage change across every chat platform. Register for the Women in Retail Leadership Summit! There are only 10 spots left, so make sure to register today!